For the city is a poem … but not a classical poem, not a poem centered on a subject. It is a poem which deploys the signifier, and it is this deployment which the semiology of the city must ultimately attempt to grasp and to make sing. We witness the advent of the number. It comes with democracy, the large city, administrations, cybernetics. It is a flexible and continuous mass, woven tight like a fabric with neither rips nor darned patches, a multitude of quantified heroes who lose names and faces as they become the ciphered river of the streets, a mobile language of computations and rationalities that belong to no one. Fado and the Place of Longing takes as one of its subjects the centrality of the city of Lisbon in fado texts. Fado, through the combination of word, music and gesture that has become solidified as the music’s style, performs place in a very particular way, summoning up a mythology that attempts to trace the remembered and imagined city of the past via a poetics of haunting. At the same time certain locales of the physical city present themselves as exhibits in a ‘museum of song’, offering up haunted melodies of a Portuguese sonic past that serves to assert the city’s identity. 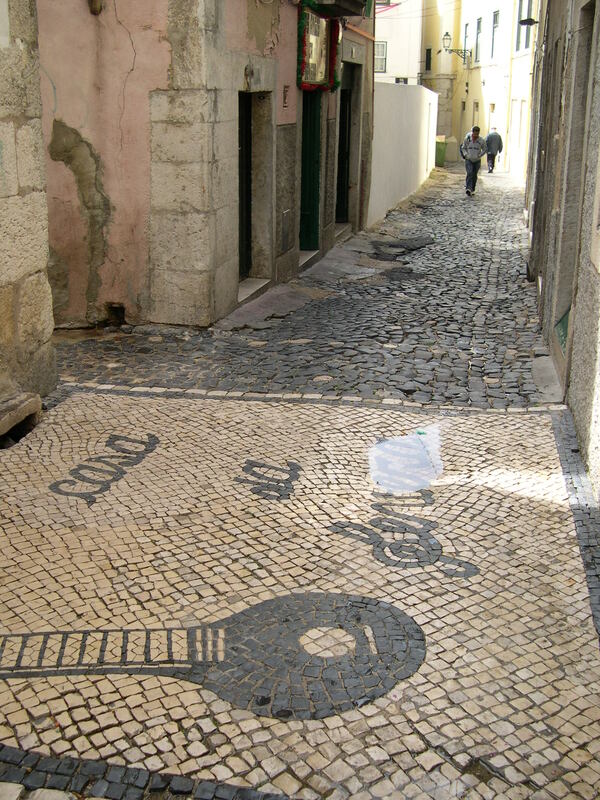 The ubiquity of Lisbon’s presence in fado lyrics is exemplified by the song ‘Vielas de Alfama’ [Alleyways of Alfama], created by Artur Ribeiro and Maximiano de Sousa (commonly known as Max) in the middle of the twentieth century and revisited at the start of the twenty-first by Mariza on her album Fado Curvo (2003). The song hymns the eponymous alleyways of the ancient Alfama quarter and of ‘old Lisbon’, claiming ‘Não há fado que não diga / Coisas do vosso passado’ [There isn’t a fado / That doesn’t speak of your past]. At the close of the refrain, the singer wishes ‘Quem me dera lá morar / P’ra viver junto do fado’ [If only I could live there / To live close to the fado’]. A fado menor performed by Carlos do Carmo and his mother Lucília goes even further: ‘Não há Lisboa sem fado, não há fado sem Lisboa’ [There is no Lisbon without fado, no fado without Lisbon]. Whether referencing the city as a whole or one of the neighbourhoods most associated with the genre – Alfama, Mouraria, Bairro Alto and Madragoa – fado texts provide topographies of loss that place the city as either object of desire or lack or as backdrop to another lost, remembered or desired object. ‘Fado Lisboa’ is a song that celebrates the city as a whole. It was originally performed by Ercília Costa (one of the great fado stars of the twentieth century) in a revista from 1939, O Canto da Cigarra. The song has also been performed by Lucília do Carmo under the title ‘Sete Colinas’, after the ‘seven hills’ of Lisbon. It has a distinctly royal tone and speaks of Lisbon as ‘casta princesa’ [chaste princess], going on to declare how beautiful the city must be ‘Que tens de rastos aos pés / A majestade do Tejo’ [That you have kneeing at your feet / The majesty of the Tejo]. As in many songs about Lisbon, the city is explicitly feminized. It also stresses Lisbon as a centre of empire, praising the discoverers who found ‘so many deserted lands’ and the heroes created in Madragoa, one of the historic quarters of Lisbon. ‘É Noite na Mouraria’ [It’s Night in Mouraria], a fado performed by Amália Rodrigues and her sister Celeste, moves us toward a more particular location. Later recorded by Katia Guerreiro and Mísia, it is a typical ‘atmosphere’ song, listing a number of the mythemes we have come to expect from a fado narrative: the low sound of a guitarra, a fado being sung in a dark alleyway, the whistle of a boat on the Tejo, a passing ruffian. This fado works as a companion piece to the classic song of fado’s ontology, ‘Tudo Isto É Fado’; the delivery is not dissimilar, comparable mythemes are present, and there is a declaration in the song that ‘all is fado / all is life’. Mouraria is also represented in fados that mention the Rua da Capelão, linked forever to the name of Maria Severa and to the birth of modern fado. The most famous, ‘Rua do Capelão’ (with words by Júlio Dantas and music by Frederico de Freitas), places the street at the centre of the Severa story. The site of Severa’s house is now commemorated in a very Portuguese fashion, having its own dedicated pattern in the calçada, the white and black cobbled pavements found throughout Lisbon. At the entrance to the street there is also a monument to mark its place in history, consisting of a sculpture of a guitarra with the words ‘Birthplace of fado’ beside it. In this way, fado does not only reflect the city’s presence, but asserts its own presence in the city. One can, if one desires, use the Rua do Capelão as the start of a walking tour of the city solely based on fadistic associations, from the labyrinth of Mouraria’s streets up the slopes surrounding the Castelo de São Jorge to the neighbourhoods of Alfama, Graça and Madragoa. Lucília do Carmo can again be our guide to Madragoa when she sings, in a fado named after the neighbourhood, of the Madragoa ‘of the bakers and fish sellers / Of tradition’. This is the ‘Lisbon that speaks to us / From another age’. The verse of this fado utilizes an associative turn of phrase common to a number of ‘city fados’; another associative fado, ‘Ai Mouraria’ speaks of ‘the Mouraria of nightingales under the eaves’, ‘of pink dresses’, and ‘of Severa’. These associations have a similar function to the texts written by the authors of the ‘I remember’ school, evoking both personal and collective memories. The ‘Mouraria of processions’ is also the Mouraria associated with the object of the singer’s affections: both are now gone. Zooming in still further, we encounter the alleyway, an unavoidable feature of the neighbourhoods surrounding the Castle. 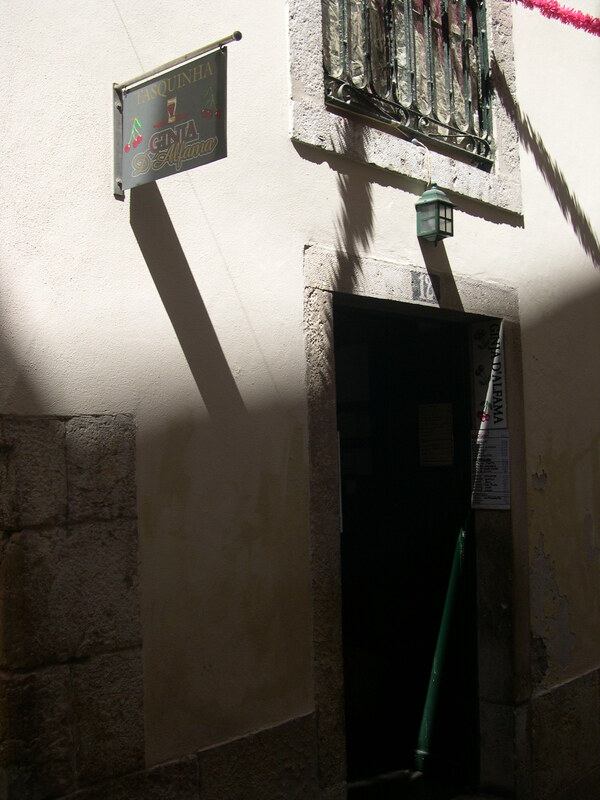 Alleyways are both places of intimacy (as in ‘Vielas de Alfama’ where they are ‘kissed by the moonlight’) and transgression (like the alleyway in Júlio Dantas’s A Severa). In the fado ‘A Viela’ (‘The Alleyway’), we meet a ‘typical’ character walking from alleyway to alleyway and encountering a ‘lost woman’ there. The fado was recorded by Alfredo Duarte, better known as ‘Marceneiro’ after the name of his trade (joiner). Born in 1891, Marceneiro had a closer connection than many to fado’s past by the time he was officially ordained the ‘king of fado’ in 1948. For many he was the living embodiment of the tradition, a castiço singer who, while born in the phonographic era, did not seem part of it. Indeed, Marceneiro was deeply suspicious of recordings; his true home was in the fado houses of Lisbon, where, from the mid-century onwards, he was considered a living legend. If, as Rodney Gallop had suggested in the 1930s, one had to go a club such as the Luso to hold the fado ‘surely in one’s grasp’, then one could look for no better guardian than Marceneiro. A regular at the Luso, he transcended the venue, connecting back to a time before the forced professionalization of fado performance. Marceneiro, then, is associated with the city not only because of fados like ‘A Viela’, but also in his very being, an authentic fadista who sang about the city, was mainly known in the city, and who represented the city (or a certain image of it) more than the cosmopolitan Amália. Much the same could be said for Fernando Farinha, with whom Marceneiro collaborated on occasion (most notably on the fado ‘Antes e Depois’). Farinha, known as the ‘Miúdo da Bica’ [Kid from Bica] after the neighbourhood in which he lived, sang mainly of his life and the city he lived in. Farinha was not averse to recording, however, nor to appearing in films, such as the one that bears his nickname. His most famous recording, ‘Belos Tempos’, is rich with nostalgia and describes a desire to go back to the time of Maria Severa. Like Severa, Farinha’s presence is marked in the city itself, on a plaque in Bica, the neighbourhood he helped to make famous. But, as is no doubt clear from many of the lyrics quoted above, the Lisbon being spoken about in many fados is a city of the past. If, having read the inscription on the monument at the entrance to the Rua do Capelão, we turn around and face the opposite direction, this city of the past quickly vanishes.